Hello Officer McCoy and greetings from a fellow law enforcement officer in neighboring Louisiana. 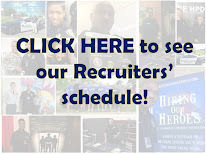 I saw the ABC Evening News tonight featuring Houston which gave your department a very nice recruiting plug. Gibson is the best! I am glad he did the story. That is the same reason why I am trying to come down to Houston! I currently live in Michigan and the economy up here is so terrible that it is near impossible to gain a job up here, and more and more people are getting laid off. 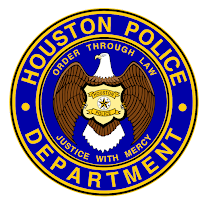 I hope to get into HPD, they are great to work with during the application process. Great coverage! Thanks for putting Houston and HPD in the spotlight!! I can remember times when HPD was not very well thought of, but now it is a very different story. Keep up the good work. Houston is great! As far as ABC News goes, I would also like to thank Mr. Wonbo Woo, producer and Gina Sunseri, producer. Both of you were a pleasure to work with. Nice plug for the city and your department. Though it is also funny (as shown at the end of the video), I think the warm weather has massive appeal to young educated workers who can relocate easily. If I offered a young person the choice between a good job in Houston or one in Camp Snowman--the selection is obvious no matter what the national ecomomic situation is.